One of the things we love the most is the emotion of a wedding day. It is the happiest day of the lives of a lot of people and emotions bubble right below the surface. And we love to capture that emotion. 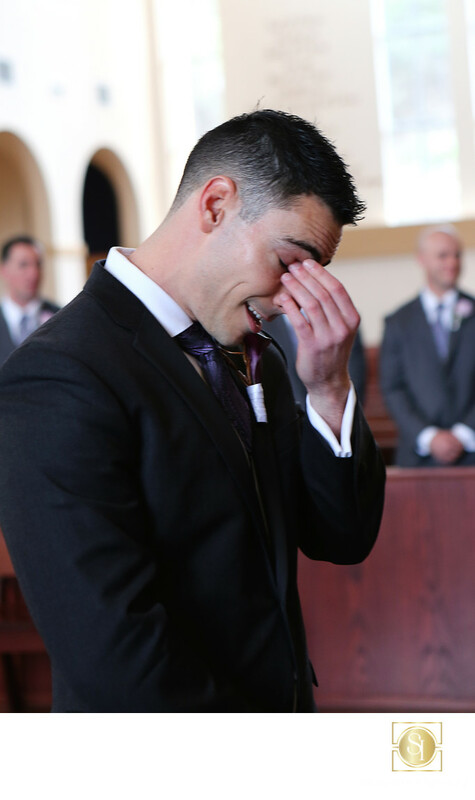 Here, our guy Randy has the emotion of the day, of seeing his bride for the first time, of how great their future will be hit him all at once. And I was there to capture it! I live for this sort of thing. Honestly, so do brides! They love to see photos after the wedding of their guy getting all teary-eyed. In fact, it's one of our most requested images!